Even though, she often makes huge pieces, Pahponee excels in coiling miniatures. 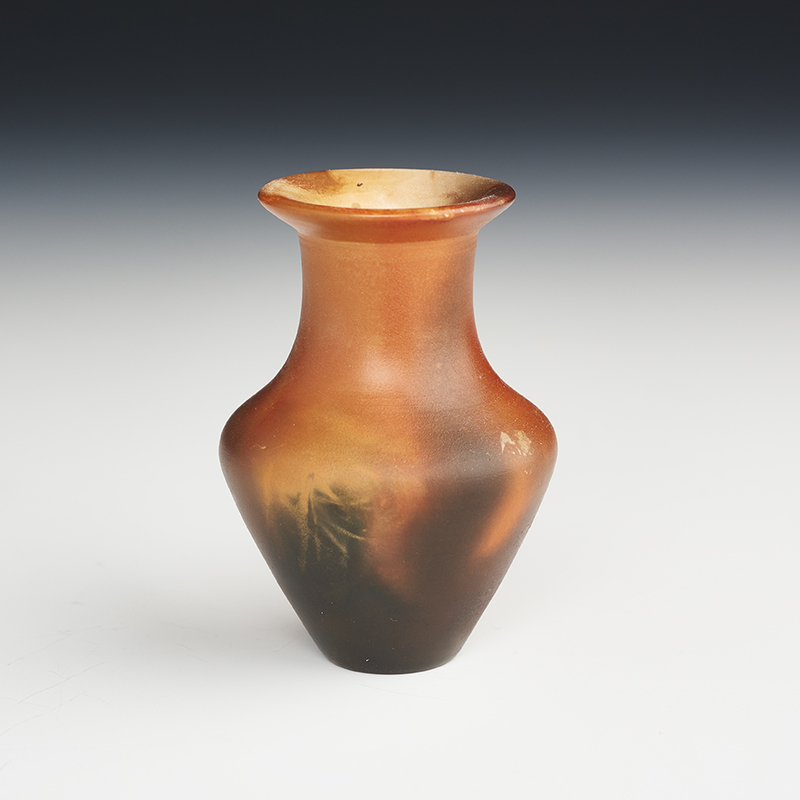 Beautifully formed, and showing varieties of tones and hues from the firing, this little water jar is a splendid example of her work. 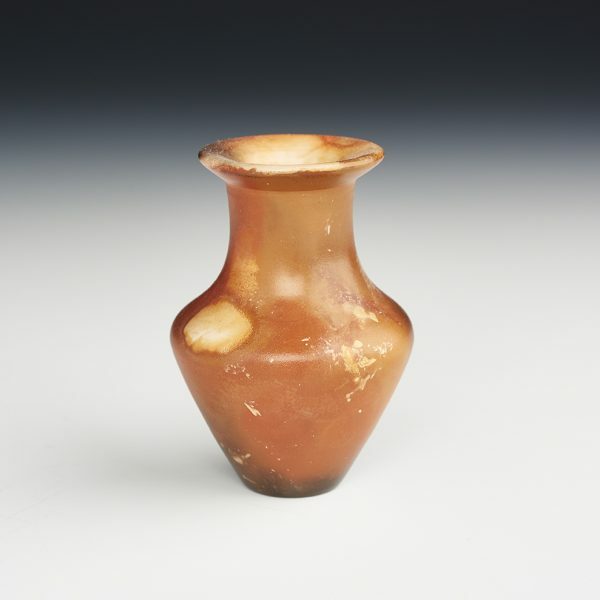 Delicate, and colorful, it’s a marvelous small jar. 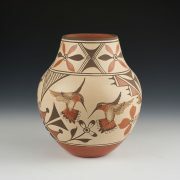 Pahponee is a self taught potter who has been working with clay since the early 1980’s. She is a descendant of the Kickapoo and Potawatomi Nations. “Pahponee” translates into Snow Woman. She has re-learned the traditional pottery methods of her woodland culture. Pahponee has a huge range of pottery skills and techniques. She has used locally dug clays, imported clays, hand coils and also works on a wheel. She sometimes kiln fires, and often pit fires. 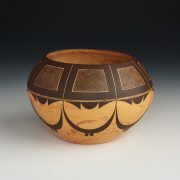 The pieces we will be exhibiting will be using the hand coiled methods and the traditional pit firing techniques using buffalo and cow dung. This technique adds to the showing of gorgeous fire clouds.